Though you don’t need to spend a lot of time on your blog each week, it is important to focus on the quality of your writing and the information you provide. Prospects and patients will be reading your blog to learn more about chiropractic services and the options available to them. It’s essential to provide each person with accurate, reliable information that can help to shape his or her decision. Whether you’re just starting your blog or looking for a way to revitalize your website, chiropractors can use these five writing tips to increase traffic and build relationships with their patients. Many chiropractors abandon their blogs early in the game because they don’t receive many comments or visitors. They falsely assume that they don’t need to blog if no one is reading. However, you should view your blog as a resource for clients and potential patients. Even if your traffic figures aren’t as high as you expect, remember that each post contributes to your larger goals. Once you’ve been blogging for several months and have amassed a series of informative posts, patients will be impressed and happy to find the incredible resources you’ve made available. If you’re not an experienced writer, it’s all too easy to let your writing be weighed down by technical terms and complex explanations. Make sure to keep your writing clear so that it is understandable to all potential patients. People are more likely to read and share your blog posts and to participate in discussions when you provide clear, simple and interesting information. Though your primary responsibilities still exist within the office, it’s also important to make time for your blog and online marketing efforts. Find a regular posting schedule that works for your business. Avoid excessive posting because many people ignore companies that post too often. Instead, try to post regularly to the blog at least once per week in order to keep your company’s name on customers’ minds. You’ll most likely run out of new blog ideas at some point in the future. Fortunately, that doesn’t mean you need to stop blogging. It’s actually an opportunity to get creative with new topics and information. If you normally blog about chiropractic techniques and procedures, try writing a blog about ways to avoid back injuries or a post about new alternative health treatments. When your blog features more creative and interesting ideas, you’ll see higher traffic and you’ll develop more loyal customers. Finally, be sure you’re encouraging users to interact with your blog through comments, shared posts or social media. Ask readers to share your blog through Facebook or Twitter and engage your patients in conversations. 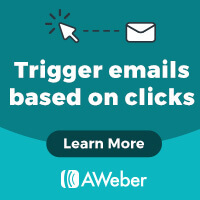 Blogs provide a powerful networking opportunity and a great way to connect with other chiropractors and potential clients. Through your chiropractic blog, you can dramatically increase the number of visitors to your website and ultimately develop a more loyal customer base. Question: Are you struggling with keeping your blog updated with fresh and relevant content? 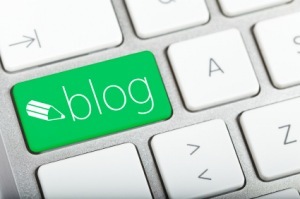 If so, you may be interested in my Blog Writing Services for chiropractors. It’ll totally remove the burden from this much needed Internet marketing strategy.